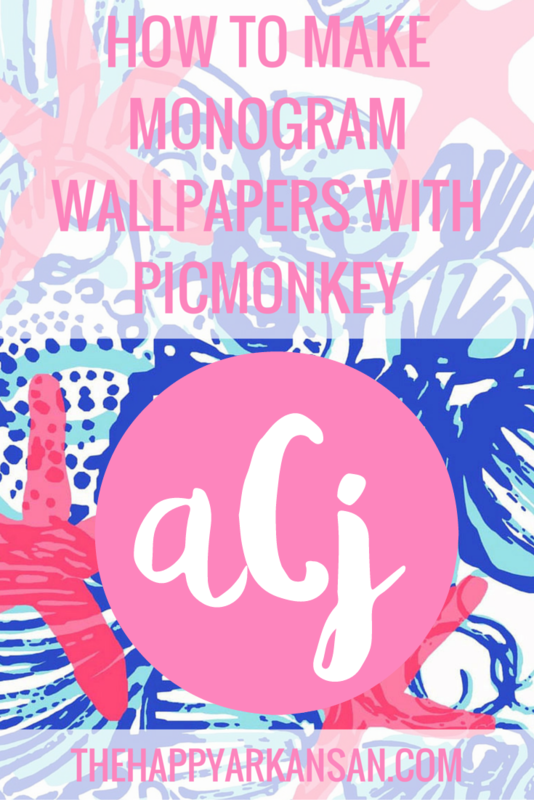 Good Morning,I love love love monograms and I recently (read Sunday) decided to see how easy it would be to make monogram wallpapers on PicMonkey. I was impressed when I found out that it was fairly easy. 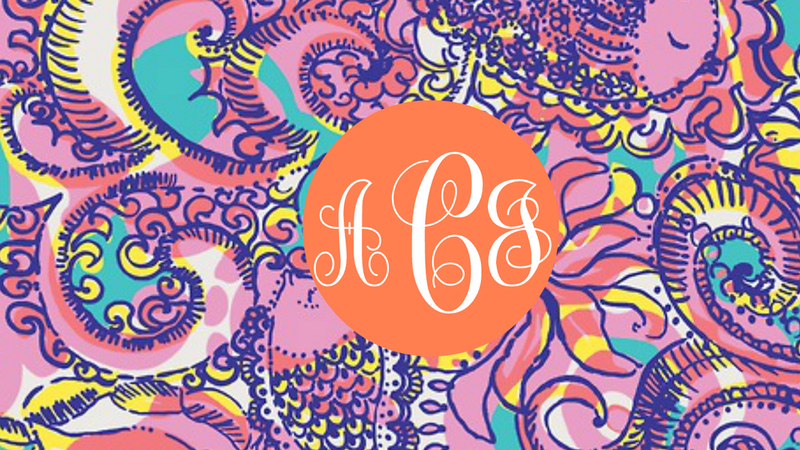 I am going to show you how to make Monograms from start to finish on PicMonkey, my favorite image editing website. One of the monograms I made this weekend. On a Windows computer this is super simple–just right click your home screen and press the option that says “Screen Resolution” mine was 1366×768 so I used that to create my PicMonkey template. This is also the standard a lot of computer screens use. Go to PicMonkey and one of the options is design. 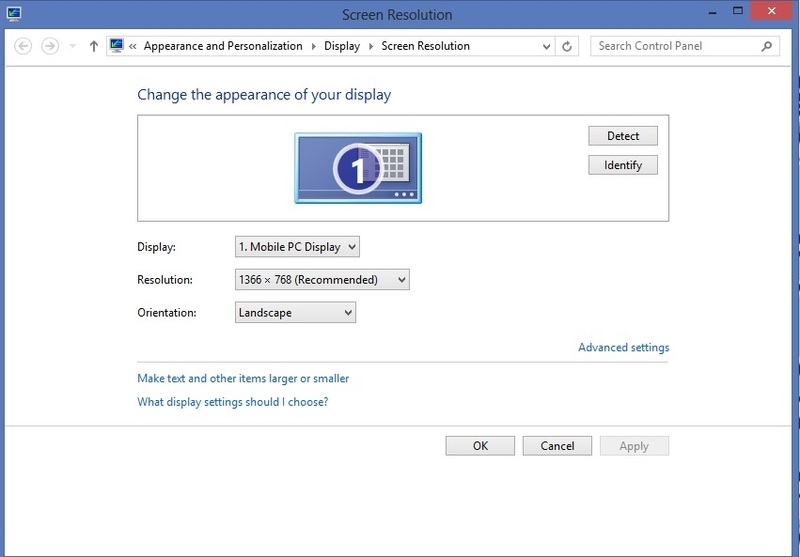 Make a custom design template and enter in your screen resolution that you found in the first step. You will then see a nice big canvas to work with. PicMonkey has many textures and colors you can chose from, but I chose my favorite Lilly print Sea and Be Seen. I use the texture option and uploaded my own texture. Remember to chose the right fade that you would like. I didn’t want any so I set fade to 0% when it’s original number is 20%. Play with different backgrounds until you get one you like. Now it’s time to add a pretty geometric overlay. PicMonkey has all sorts of overlays to chose from in the geometric category–circles, squares, rectangles, and more. They can all be customized with the color of your choice. If you don’t want to cycle through color wheels try this website. It lists the HTML colors of pretty much any color variation you can think of. 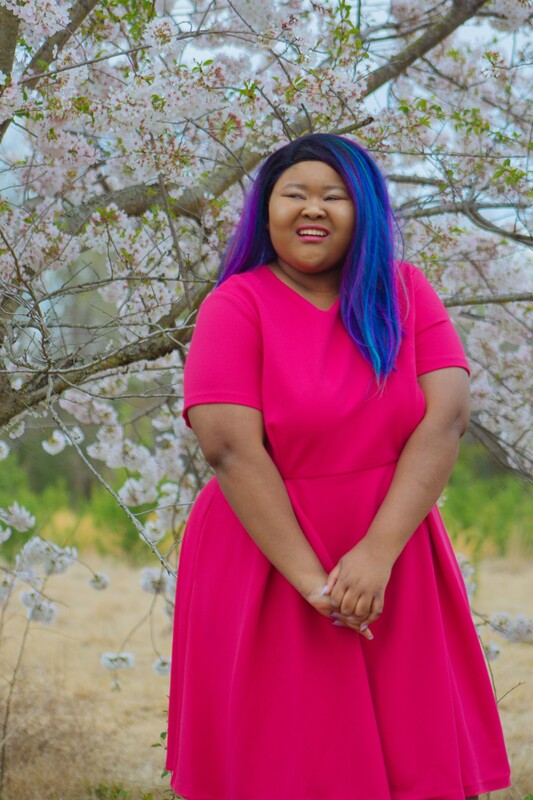 I chose coral for the color of my circle here. PicMonkey has a ton of fonts, but they recently got this awesome new feature that allows you the chance to use all the fonts you have on your computer–it’s awesome. 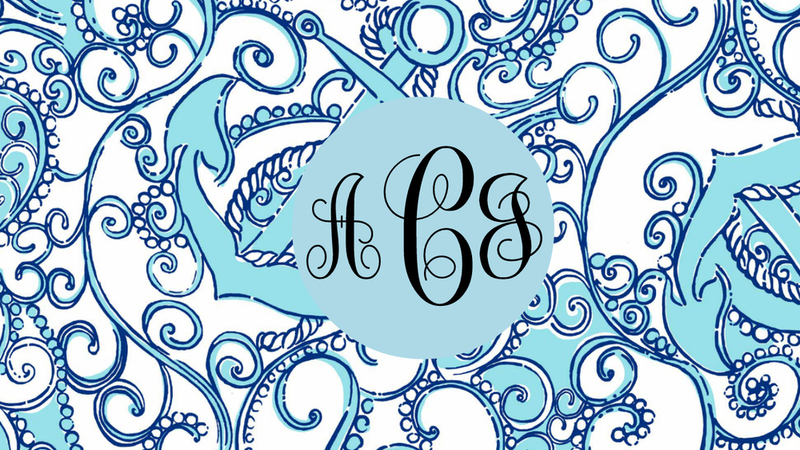 I downloaded this Monogram font set online and used it to create even cooler monograms on PicMonkey. Don’t forget to download it too! Best thing is it was totally free. 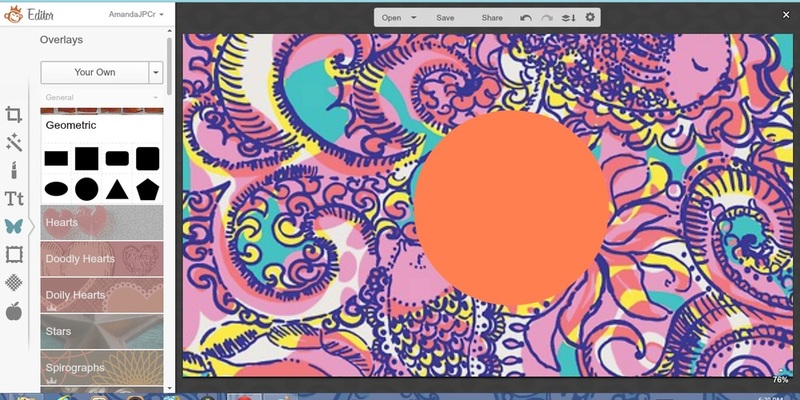 Choose a font and font color that works with your wallpaper and save your work of art. It really was that easy to create, save, and use your work of art. I hope you loved this PicMonkey tutorial. 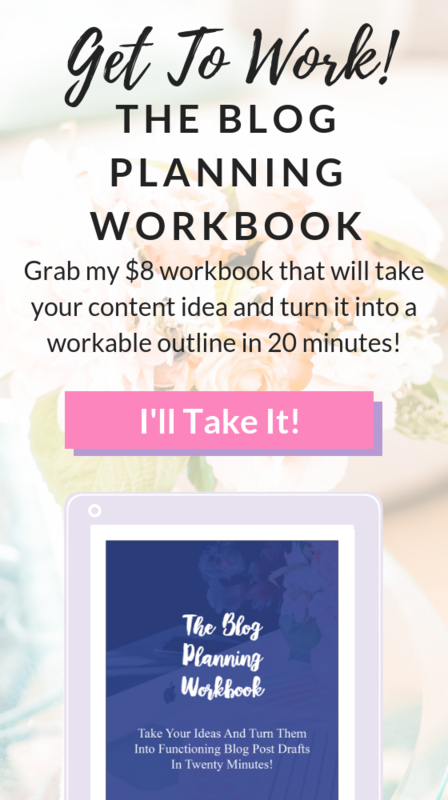 You can do so much with PicMonkey’s awesome tools and I hope you decide to check out all the cool and awesome things you can do with this service. 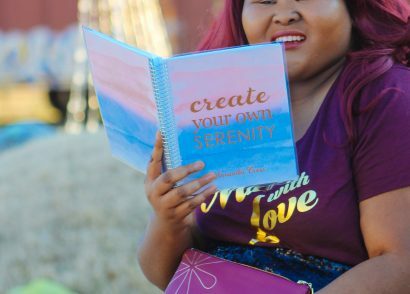 How To Plan Your Life In 2019 With Erin Condren + A Giveaway!